A DC Coupled solution is used when you are integrating energy storage with a new PV installation. You can also retrofit an energy storage system to an existing PV array if the PV array has string inverters. 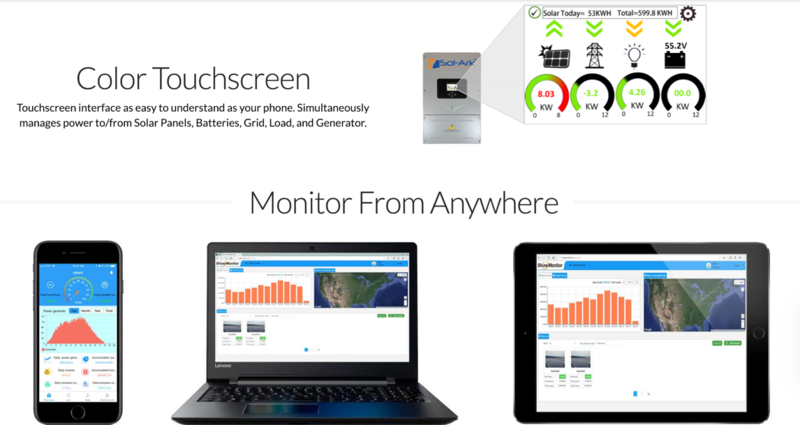 DC coupled solutions allow both the PV and the battery to be served by a single inverter. In a DC coupled configuration, the battery will be directly charged by the solar panels compared to when you use an AC Coupled system and the solar power goes to PV inverter first and then to charge the battery. 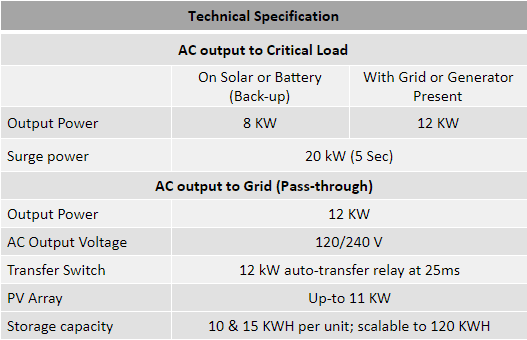 Thus, DC coupled solutions are more efficient and you avoid the cost of a PV inverter. Outstanding Surge Power: Our systems can provide 20KW surge power and enable you to use large appliances such as 3Hp well pumps and A/C units. In Fortress Power’s DC coupled solution, we use the innovative Sol-Ark 8KW Inverter which integrates a charge controller, inverter/charger, control panel, communication and distribution box in one compact unit making installation easy.